I was a successful Software Development Manager working for a large corporation. Although it was allot of fun, it was not my passion. See I have always dreamed about making video games. It is the reason why I learned how to program computers. Although I have tried to hack around with various gaming side projects I was never really successful and so I continued to write business software. At some point in 2012 learned about the Indie Game scene and Unity3d. I was intrigued, and I downloaded the free version of Unity to play with. I immediately recognized how powerful the tool was and how easily you can make multi-platform 3d games using it. After a few learning projects I decided I finally had something good. See my 18 year old son was very much into Trains and I wrote him a small Train Simulator that would allow him to control a Train as it went along the track. Seeing how happy it made him, I thought that other parents might like it and I released the game for the Android platform. Things quickly got out of hand. Train Sim was released on December 21st 2012 and by January 21st 2012 had over 700,000 downloads. I realized I have something great and monetized the app through Admob. 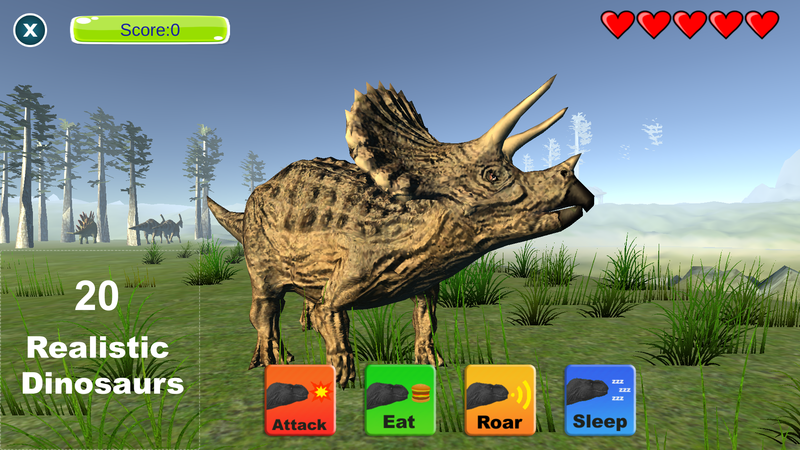 Thanks to Unity’s multi-platform support I published the game for the iOS and Windows 8 Store. 3 years, 20 games, 14 million downloads later Train Sim became the foundation of 3583 Bytes my indie game studio. Our formula is simple, I make games for my son, he tests them and my wife does the accounting. None of this would be possible without such an awesome, easy to use, cross platform game engine. Thanks Unity!